Griggs Wall is a Corporal with the Habersham County Sheriff's Office and is a retired Master Police Officer with the Gainesville Police Department (GA) after 26 years. For the last 3 years Griggs has been assigned to Gainesville High School as a SRO. 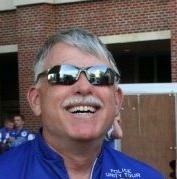 Griggs joined the Police Unity Tour in 2010. Griggs is married to his wife of 24+ years, Lisa, and they have one son. When not working or with family, Griggs is a year round cyclist riding the roads in the North Georgia mountains. Jeff Kerr has 23 years experience in law enforcement and is currently a Lieutenant at the York-Poquoson Sheriff's Office. He has been a member of the Police Unity Tour since 2005 and previously served as a Vice President of Chapter IV. Jeff was diagnosed with MS in 2006 and has held several leadership positions with the National MS Society. He has had a highly successful MS bike team since 2006. Jeff also owned and coached a BMX race team from 2010 to 2015. 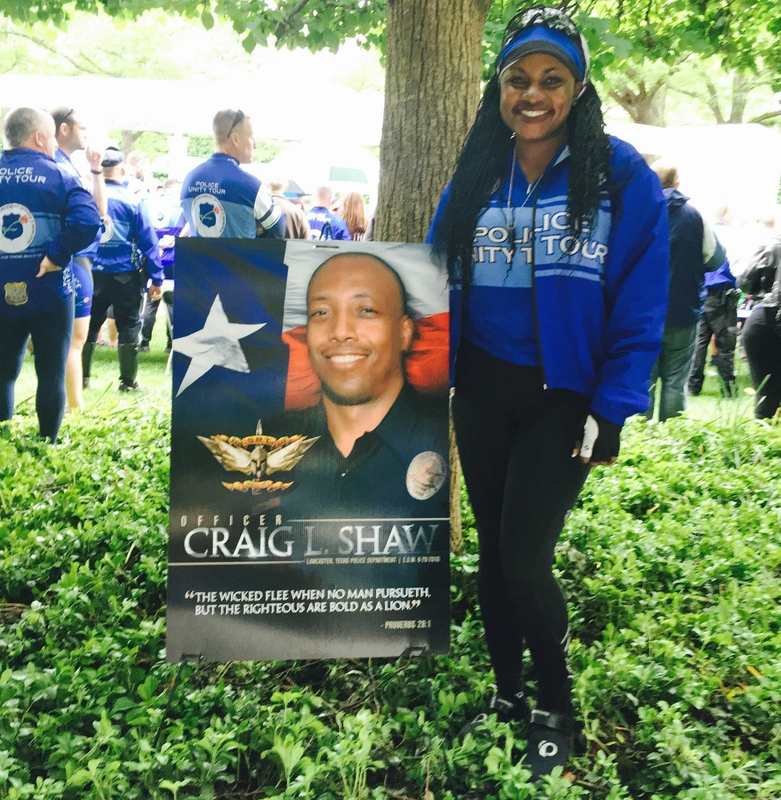 Tiwanda Shaw is the surviving spouse of Officer Craig L. Shaw of the Lancaster, Texas Police Department. Craig was killed in the line of duty on Father’s Day, July 20, 2010. Tiwanda joined the PUT in 2011 after not riding a bike in 30 years, knowing this would make Craig proud. 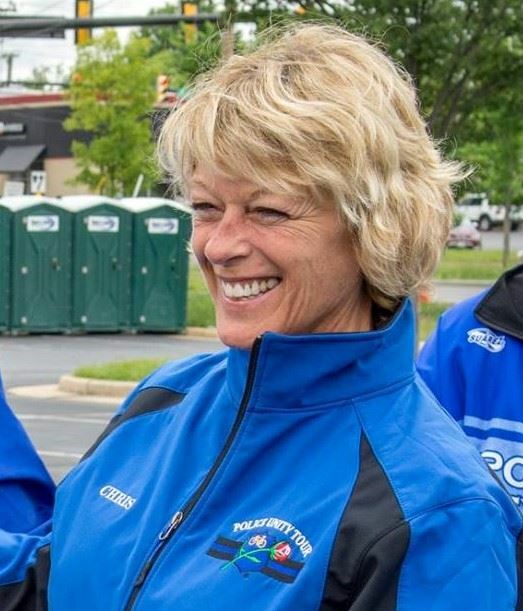 She serves as the CEO of the Officer Craig L. Shaw Memorial Foundation & volunteers with the Lancaster Police Department to develop a community outreach program. Hugh Miller has previously served as our President. Hugh retired from the Tampa Police Department. He is a charter member of Chapter VIII and has previously served as our President. Hugh started his professional life in the hospitality industry managing restaurants. After being robbed one night he decided he would rather be catching bad guys than being a victim. He started his law enforcement career as a reserve officer in Huntsville, Alabama. Christian Foster is a 911 Center Manager for the Mathews County Sheriff's Office in Virginia. He began his career in 911 as a staff dispatcher in 1996. Christian is also an Advanced EMT and joined the Police Unity Tour in 2010 as the Medical Coordinator. He enjoys the sense of family and lifelong friendships gained by being a member of Chapter VIII. Chris Warden enjoys her job as a Senior Training Coordinator with the Collier County Sheriff's Office in Florida where she has been since 1989. Chris joined the Police Unity Tour in 2010 and is passionate about her role as Director of Support. When not working, Chris enjoys riding her motorcycle with her husband, a retired Deputy Sheriff. 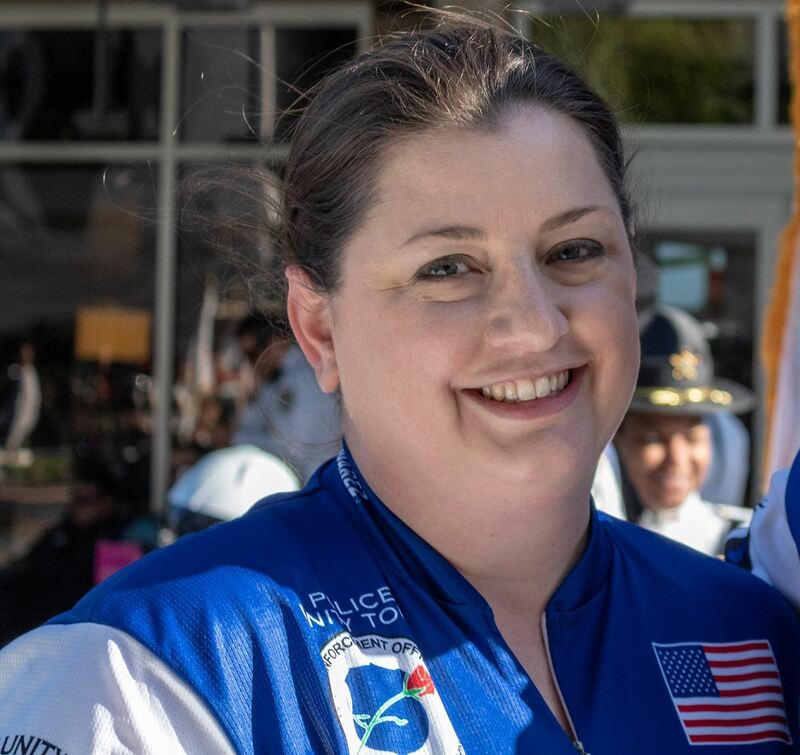 Megan Copelin joined the Police Unity Tour in 2010. From the beginning, she has contributed to the Hotel Team. She is the wife of a Tallahassee (FL) Police Department Homicide Detective and a mother of four. She graduated from Florida State University in 2003. Go Noles! She enjoys chocolate, being outdoors, participating in her children's extracurricular activities and riding her bicycle. Mark Williamson is a Criminal Investigations Sergeant with the Collier County Sheriff’s Office. Mark has been a law enforcement officer for over 20 years and worked in Virginia as an LEO prior to moving to Florida. Mark has been a member of the Police Unity Tour since 2006. He feels humbled each year to see so many law enforcement brothers and sisters support one another through the PUT and is honored to join others in keeping the memories of our fallen heroes. Krista Williamson has previously served as our President. She has worked for the Collier County Sheriff's Office since 2000 and currently works as a Media Relations Specialist (PIO). Krista started her law enforcement career in 1990 at the Chesapeake Police Department in Chesapeake, Virginia. Krista spent time as both a dispatcher and a law enforcement officer before moving to Florida in 2000. She has been a member of the Police Unity Tour since 2006. Andy Raphael has previously served as our President. He has been a tour member for 12 years and helped grow the chapter in both central and south Florida. 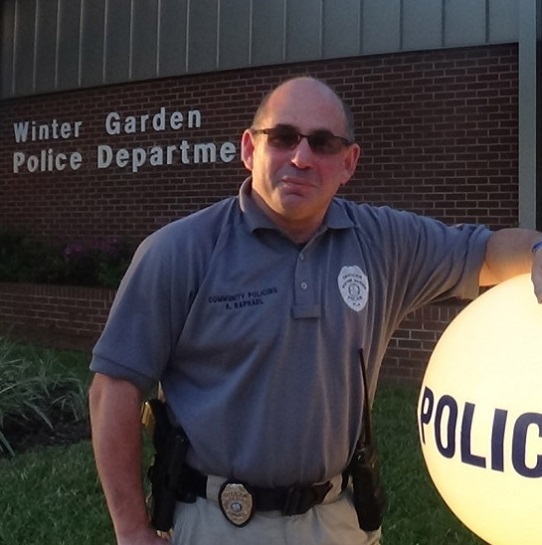 Andy recently retired from law enforcement (Hallandale Beach & Winter Garden Police Departments) after 30 years of service. He has been married to his wife Teresa for 24 years. Andy truly believes that this organization is what being a part of a law enforcement family is all about. “In service there is honor”. Jeff Mayo is a medically retired Deputy Sheriff from the St. Tammany Parish Sheriff's office in Louisiana. He served 17 years in a combination of Corrections, Patrol, and as a School Resource Officer. He obtained the rank of Corporal in both Patrol and Corrections and supervised teams in their daily activities. In 2007, Jeff's brother DFC Hilery A. Mayo, Jr. was killed in a line of duty vehicle crash responding to a man down call in his district (EOW 06-09-2007). While in Washington, DC in 2008 for Police Week, Jeff and his family were approached by a member of the Police Unity Tour and were gifted the wrist band the member wore during his 250 mile ride. 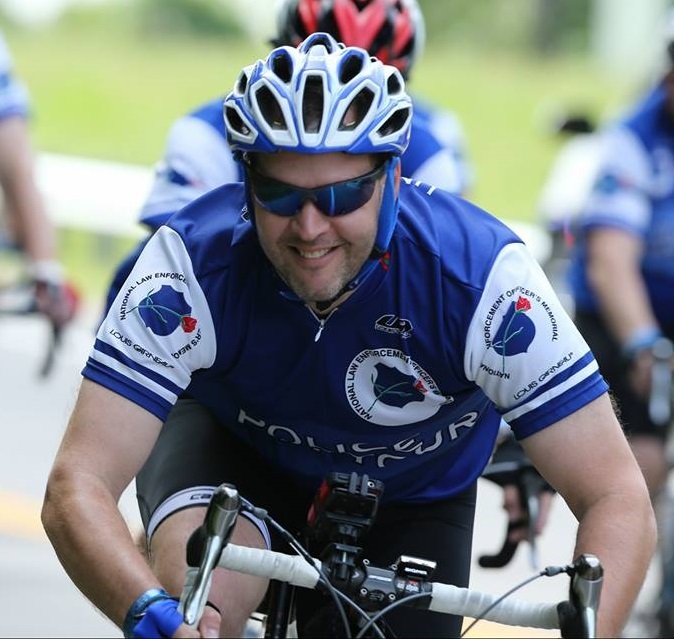 Jeff immediately fell in love with the Police Unity Tour and joined in 2009. He is now the Route Coordinator for Chapter VIII and coordinates all transportation related issues. 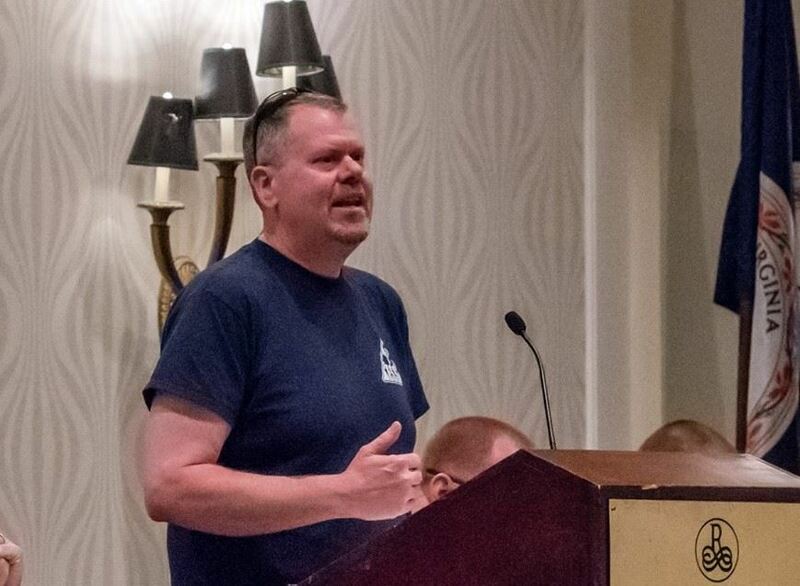 Jeff was elected as a Trustee in 2019 and is excited to coordinate with other board members in moving the chapter forward. Jeff is married to Amanda Philebar Mayo and they have two children, Peyton and Catherine.